Britney Agustin took her first tap and ballet classes when she was four years old. She started classes at the NorwalkPark andRecreation Center which then lead to her training at Stepping Out Performing Arts Studio. She took classes in Tap, Ballet, Creative Movement, Jazz, Hip Hop, Salsa, Lyrical, Modern, Pointe, and Hawaiian dancing such as Polynesian and Tahitian. She has a wide variety of different types of dancing because aside from that, at her elementary school Cresson, she had learned to do Swing for her Talent Show. She also learned break dancing when she joined the Hip Hop Team at her middle school, Lake Center. As she grew older, she also learned how to do Step Dancing at a dance camp that she attended while she was a freshman in high school. Expanding her knowledge in hip hop dancing, she learned “tutting,” popping, locking, krumping and the many other styles of hip hop. Since the age of four, she has participated in numerous recitals for Stepping Out Performing Arts Studio. She continued performing in any performances she had the opportunity to. She joined the Talent Show at Cresson Elementary School in both fourth and fifth grade in which she choreographed herself and won the 1st place title performing with her friends. At the age of 12 she started to become a teacher’s assistant at Stepping Out Performing Arts Studio along with taking her usual dance classes and practicing with the dance team for the studio. She experienced her first dance camps and her first dance competitions with Stepping Out successfully. When Britney entered high school, she joined the dance team for two years where they participated in the 2009 Sharp Competition in Las Vegas. They won 1st Place and they also won the Championship. Going into her junior year, she choreographed a routine for the tryouts for dance team because the coach has requested for her to do so. 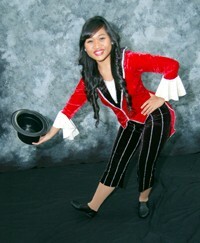 During her junior year, she wanted to expand her opportunities in dancing so she joined the Song team at her school. For her senior year of high school, instead of being on a team, she choreographed the dances for the dance team in which qualified them to go to nationals in Florida for UDA. Throughout her process from being a teacher’s assistant to present, she subbed for any class that was needed to be subbed and finally started her first class in 2011. Aside from all of this, on her own, she experienced going to dance workshops and dancing with the famous crews from the show America’s Best Dance Crew, such as SoReal Cru, Kaba Modern, Quest Crew, BoxCuttahz, Team Millennia, and many more. Britney also performed and choreographed dances for special parties such as weddings, birthday parties, and company parties. She has choreographed a routine and worked with a group of students in the summer at California High School in 2010 and also choreographed a routine for a fashion show at Compton High School in 2010. Britney’s style of dancing is challenging because it is unique. She is a talented instructor and performer. Her positive and friendly personality creates a fun environment for her dance classes because she likes her students to be comfortable and break out of their “shy” shell. Britney’s passion for dance has grown over the past years while she continues to inspire her students.